A child's First Holy Communion is one of the most important events in their life. 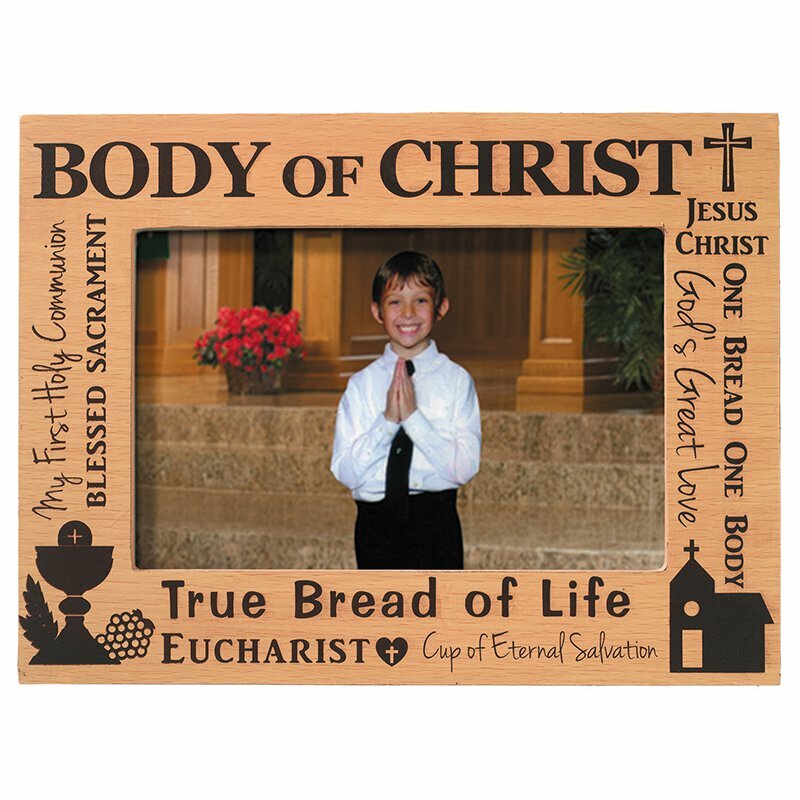 Help them make the day extra special with a gift of a First Communion Photo Frame. Each frame is decorated with a word art and symbol motif. Holds a 6" W x 4" H photo. It makes a great gift for any Communicant and is sure to be an ideal keepsake that will be treasured for years to come.